Build, configure, and troubleshoot your PC with this comprehensive guide. Written by veteran professionals in the field of hardware and networking, PC Hardware: The Complete Reference covers everything from hardware basics to resolving advanced configuration issues. 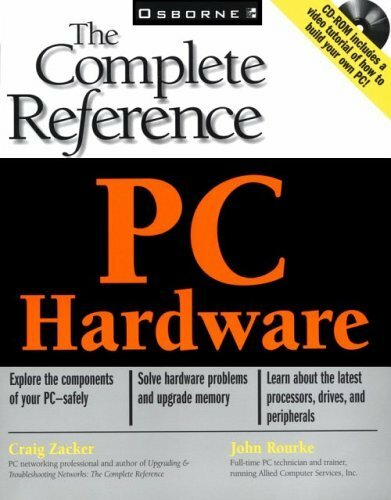 Whatever you need to know about the PC – be it installing new peripherals or increasing your computer’s memory, you can just about find it in this book. There are also step-by-step instructions to help you put together your ideal PC or boost the performance of your current system. However, the textbook-like layout and poorly explained illustrations and pictures are hardly the kind of stuff that will excite you. As if to compensate for it, the book comes with a bonus CD-ROM that contains a video tutorial on how to build your own PC. Overall, PC Hardware: The Complete Reference will prove handy for beginners, but if you already have some prior knowledge of the inner workings of a PC, I’ll suggest you pass this up. At close to S$80, it is also a bit pricey if you use it like a dictionary.